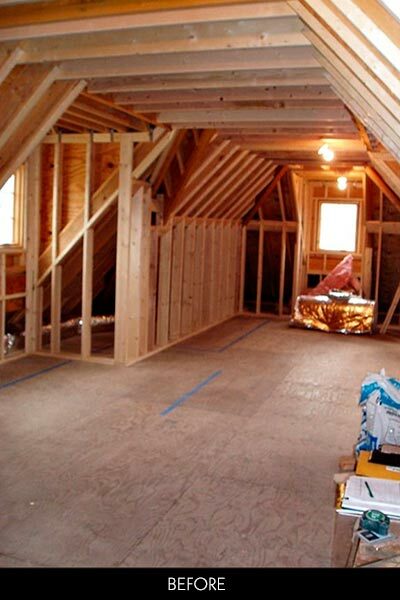 Closet Works designs custom closet systems for Chicago area homeowners and builders alike, designing all types of organization systems for new construction, room additions or remodeling projects for existing rooms. This space presented unique challenges in the angle of the roof and walls. The built ins closet wardrobe pieces needed to be angled steeply at the back to fit snuggly under the roof line, while still allowing enough room for a standard hanger. Imagine the luxury closet ideas like a fun chandelier in your dressing room to make it more your own. We can start from scratch, as in this new construction project, or customize your existing space for all your needs, creatively and organizationally. 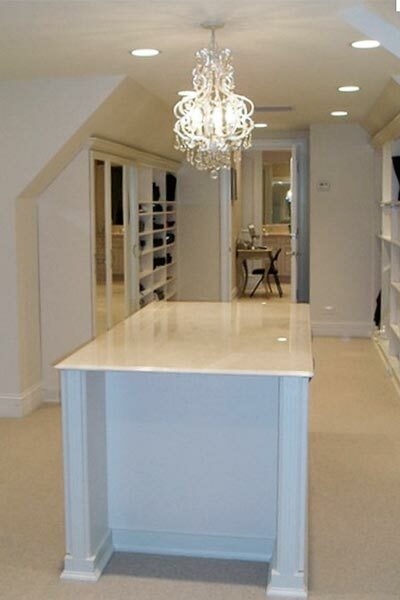 This built ins closet included many angles, which makes the room unique, but can also be a challenge if not handled properly. Under the guidance of Closet Works experienced and skillful staff, this closet/dressing room blossomed into an elegant private sanctuary, where everything is organized and all the clothing is enclosed by custom cabinetry or closet systems, giving the closet organization more of a furniture look. Mirrored doors expand the space further, and having more than one allows them to be used as a three-way mirror when needed. 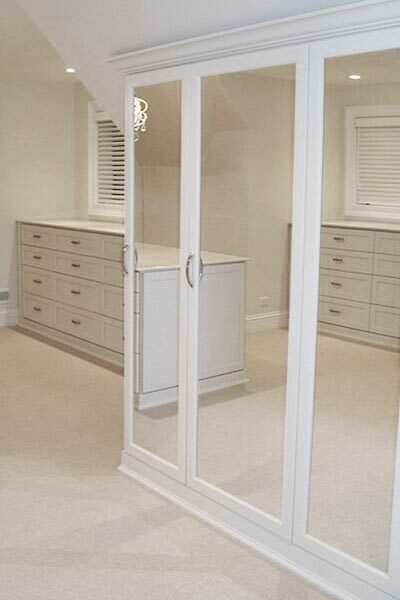 Luxury closet ideas include a drawer system designed to mimic clothes dresser and wardrobe cabinets with mirrored doors. Before Photo: The slanted walls and ceiling in this space presented many challenges for this built ins closet.